HEYY SHAWTY, WHAT’S YO SIGN?! 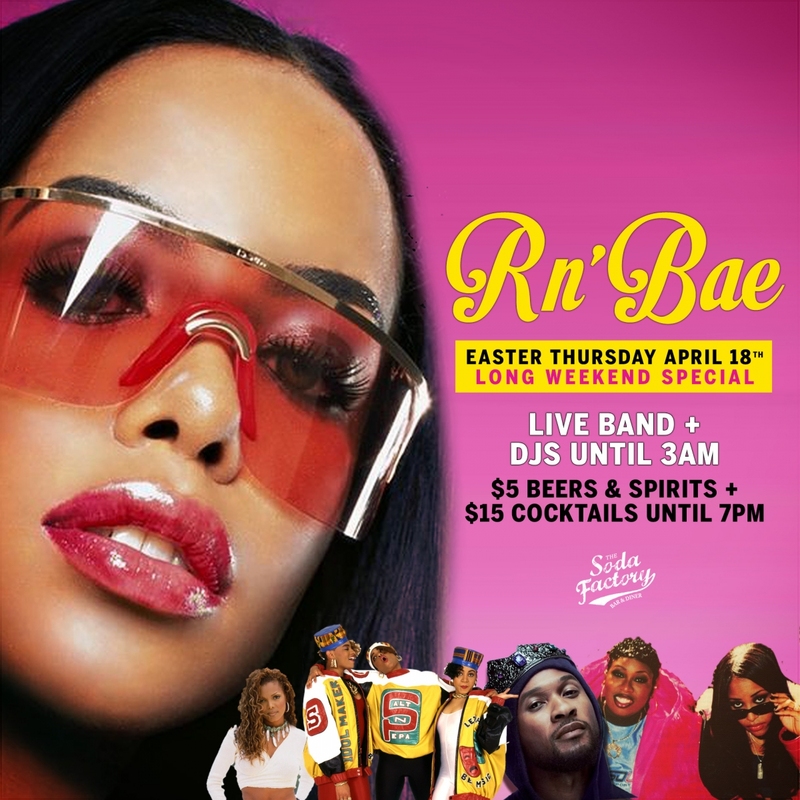 Get ready to get DOWN & DIRTY in dem Apple Bottom jeans as Jukebox Thursday’s presents an extra special edition of RN’BAe at the beginning of our Easter Long Weekend Extravaganza! The antics begins on Thursday, April 18th and you can bet we’ll be shakin’ it all weekend long!! It’s time to bump n’ grind with some 90’s inspired belters that will have you body rollin & burnin’ through the floor. You can expect songs from the likes of Aaliyah, Janet, Trey, Warren G, Blackstreet, Next, R Kelly, Montell Jordan, Monica, Chingy & more.